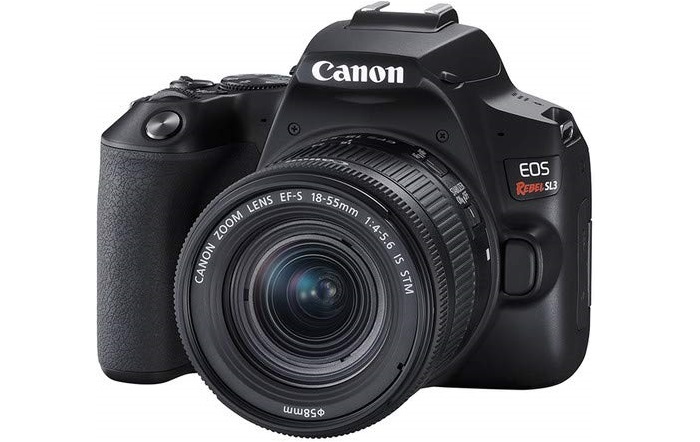 Canon has just announced EOS Rebel SL3 a DSLR camera for beginners. This entry-level camera uses a 24.1MP CMOS sensor, DIGIC 8 image processing machine, 3-inch touch screen, and supports 4K video recording. • ACCESSORIES: Stabilization pistol grip tripod, HD filters, tulip hood, memory card, memory card reader and more.